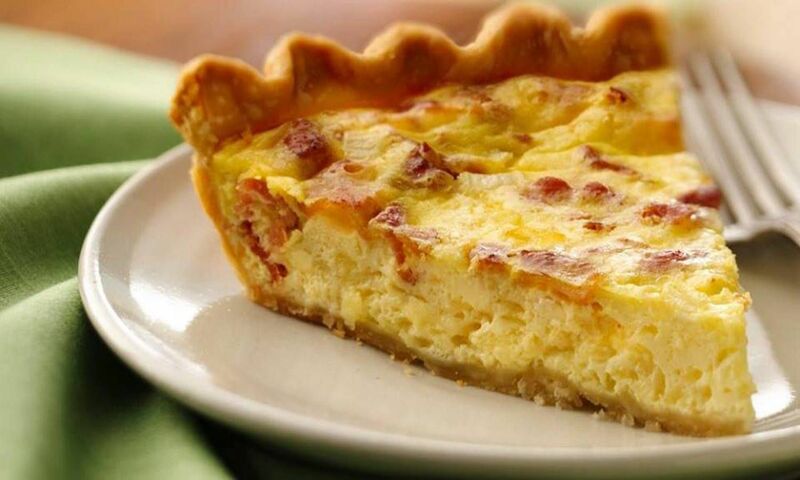 Rich and cheesy Quiche with delicious ham, perfect for breakfast, lunch or even dinner! Preheat oven to 200°C conventional. Line pie dish with pastry, sealing joins and trimming to fit. Prick base and side with fork. Bake for 10 minutes until lightly brown. Melt butter with oil in a fry pan. Sauté white onions and garlic. Season well with salt and pepper. Add ham slices. Distribute mixture evenly onto the base of pastry case then top with grated cheese. In a bowl, whisk eggs milk and cream. Pour into pastry case over ham mix. Return to oven and bake for 25-30 minutes until just set but still a little wobbly.